Background: Alterations in the very low-density lipoprotein (VLDL) subclass profile have been demonstrated in obese and insulin resistant adults; however, little information on VLDL subclasses is available in children. We determined the association between abdominal adiposity, insulin resistance, and triglyceride (TG) levels in each VLDL subclass in Japanese school children. Methods: One hundred sixty-four children (79 boys and 85 girls), 10.9 ± 1.6 years of age (mean ± SD), were recruited. 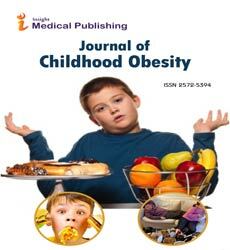 We obtained the waist-to-height ratio (WHtR), lipid profile, and HOMA-R data from all children. The VLDL subclass profile was analyzed by HPLC. Results: Children of either gender with abdominal obesity (WHtR ≥ 0.5) had higher concentrations of large, medium, and small VLDL-TG in conjunction with the shift to larger size and elevated HOMA-R. The WHtR was positively related to concentrations of large (boys: r = 0.5800, p < 0.0001; girls: r = 0.3841, p = 0.0003) and medium (r = 0.5265, p < 0.0001; r = 0.3320, p = 0.0019) VLDL-TG. The small VLDL-TG concentration was positively correlated to the WHtR in boys (r = 0.4902, p < 0.0001), but not girls. In multiple regression analyses, the WHtR was an independent determinant of large, medium, and small VLDL-TG concentrations in boys, but not in girls, taking HOMA-R into account. Conclusions: Abdominal obesity was associated with the VLDL subclass profile in Japanese school children; however, the impact of abdominal adiposity on the VLDL subclass alteration demonstrated a gender difference. Yuriko Abe, Tomoo Okada, Hiromi Okuma, Minako Kazama, Ryuta Yonezawa, Emiko Saito, Yuki Kuromori, Fujihiko Iwata, Mitsuhiko Hara, Tatsuo Fuchigami, Shori Takahashi.